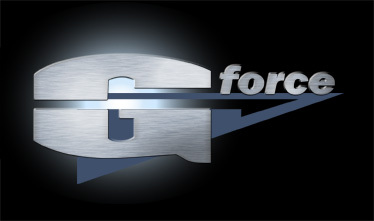 G-Force is a competitive model kit company offering a variety of services at affordable prices. Owned and Operated by Gary White, model master and hobby enthusiast, G-Force is continuing to grow, constantly adding new product lines and innovative ideas for all hobby collectors. It is a Canadian based company employing the talents of exceptional Canadian Sculptors and Painters since 1992. Be sure to bookmark this site and visit often to keep abreast of the changing world of model collecting. In addition to being found on the World Wide Web, we can also be visited at various model shows. Our past shows include Chiller, Wonderfest, Mad Model party and the World Model Expo in Toronto. We offer you the opportunity to browse online through our catalog of products. Keep up to date with newly released products, information and specials. Our promise is to offer you quality products and support with a satisfaction guaranteed commitment with no obligation to buy. Just take a look through our web site, our doors never close, and should you not see what you are looking for, just email us and we will do our best to locate your model of choice. We are excited to have the opportunity to open the door to the model world for you by finding the product you desire, at a competitive price. Build and paint yourself a masterpiece with the support of G-Force.